Offering modern perspectives on the ancient path of the spiritual disciplines, The Life You've Always Wanted guides us on a journey beyond performance and externalism to a life marked by joy, peace, kindness, and all the signs of a faith that's vital and growing. 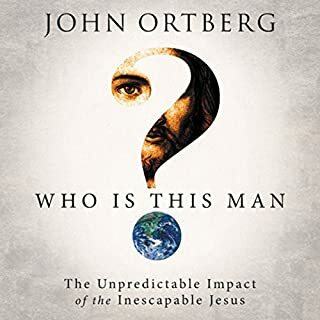 Now with an added chapter on prayer, this expanded edition of the ECPA best seller offers an encouraging and challenging approach to a Christian life that's worth living: life on the edge that fills our ordinary world with meaning, hope, change, and growing closeness with Christ. This a really good book, not only for those young in their Christian faith, but also for those who've been around and need to "re-focus". Ortberg's presentation on the spiritual disciplines was challenging, but in a way that inspires rather than discourages. He also helps the reader to set reasonable goals for prayer and meditation on scripture. 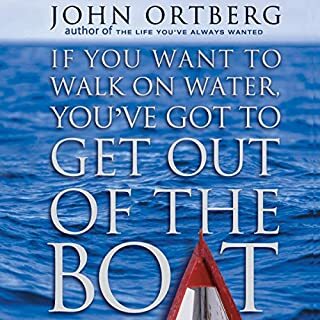 While I tend to be suspicious of most of the "positive thinking" type books, this book does a good job of addressing the perpective that God intends for us to enjoy many of the "ordinary" things in life rather than live a life of misery. But at the same time, he doesn't downplay our call to obedience and role of suffering in the Christian's life. Overall, I thought this was a very balanced book and worth the read. It would also serve well as a devotional read on the way to work each morning. A few of the stories were so funny I was laughing out loud in my car. 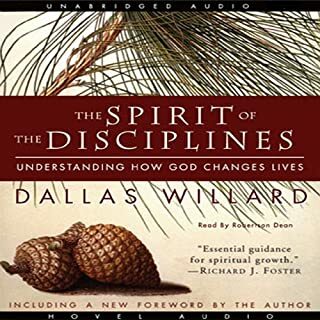 I found Celebration of Discipline a great blessing when we did it our our adult small group, and I'm always looking for more edifying content to listen to while driving, at the gym and doing chores. This book is I suppose a bit of a dumbing down compared to "Celebration", but in a lot of ways it will resonate more for people like myself who struggle to integrate our faith daily and are a long way from being able to do spiritual retreats regularly or fasting, etc. The author shares a lot of personal examples, which are either very helpful and human or a tad narcissistic depending on one's mood and personality. For me, I found it generally helpful and after having listened to it carefully once or twice, I now listen to parts of it at least once a week so as to remind myself of what I should be working on it my life. In short, the book is a blessing for the younger or modern person, as it challenges us to be Christ-like in real, North American day-to-day life. Amazing! Just what I needed! What made the experience of listening to The Life You've Always Wanted the most enjoyable? Down-to-earth, spiritual teachings for everyday people to become more deeply rooted in God. Just an AWESOME book. Soul-stretching stuff! What about Jay Charles’s performance did you like? One of the best narrator's I have ever heard. 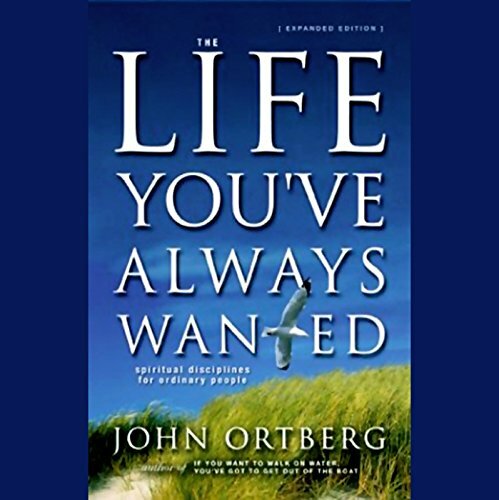 Where does The Life You've Always Wanted rank among all the audiobooks you’ve listened to so far? 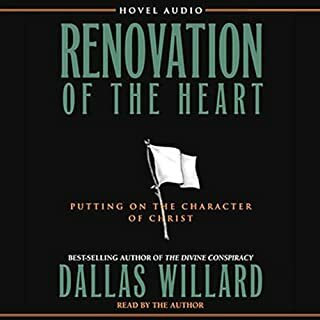 This was the first audible book I listened to, and I had nothing to compare it with. It was easy to listen to. What was one of the most memorable moments of The Life You've Always Wanted? I love how the author relates his point with a story that the listener can identify with. He did a great job of reading. 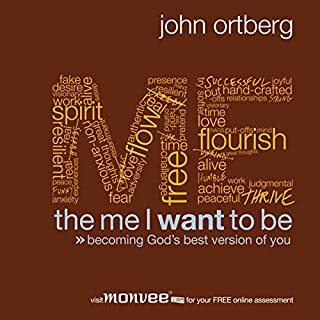 This is my second book by John Ortberg. I really appreciate his style and humor. He provides wonderful insight into the spiritual disciplines and growth as a Christian. I highly recommend! Good direction for someone who would like to grow in faith and maturity. This is one of the best books I have listened to in a very long time. John takes some basic principles and puts s new and refreshing twist to them. He feels very authentic and he held my attention so I would want to listen. I truly respect his honesty and humanness. Thank you! Rereading this book and recommending to everyone I know. One of my favorites on practicing Spiritual Disciplines! The audio book is delightful; one of the best narrations I’ve heard. I wish Jay could narrate every book on Amazon. Excellent. Easy to read. Entertaining, yet very profound! This book has a lot of practical day-to-day advice that focuses on what you can do right here and now. It also talks about discipline and growth that's more than just "trying" like is so common. 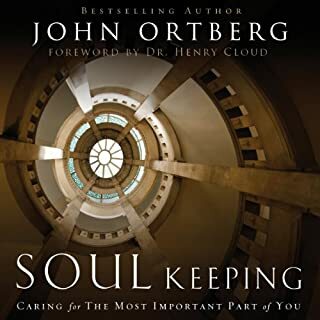 It was a good book but very similar in a number of chapters to John Ortberg’s book Soul Keeping.